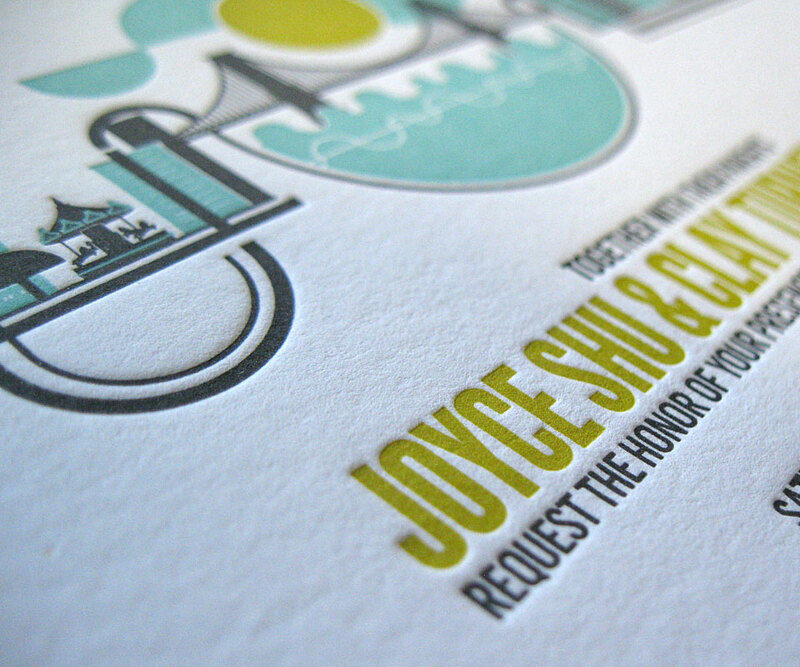 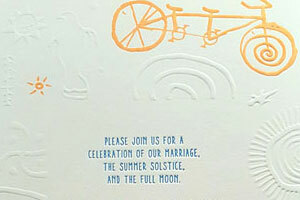 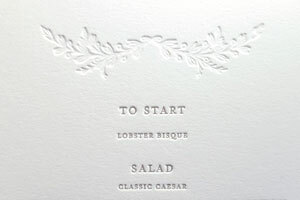 Windmill Letterpress - Letterpress Printing, Foil Stamping and Embossing. 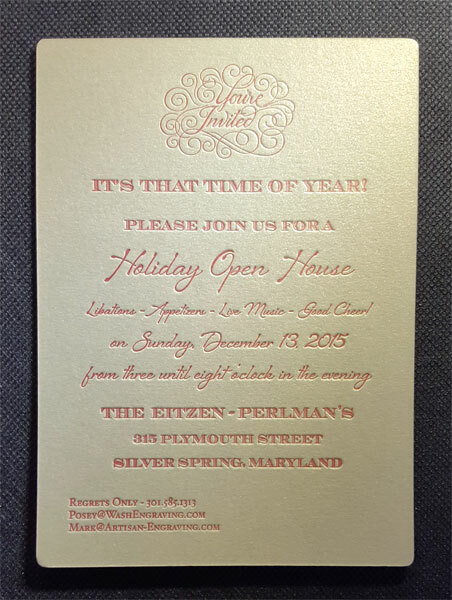 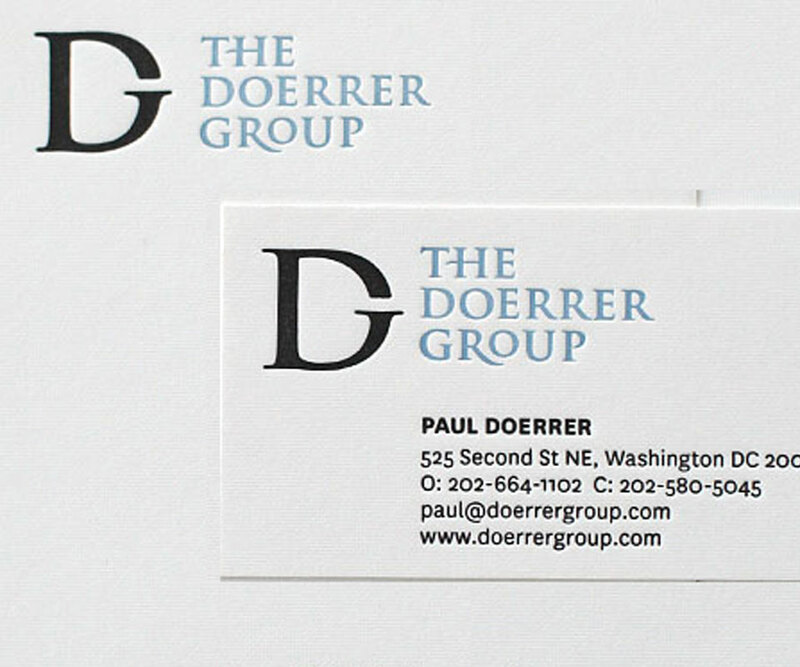 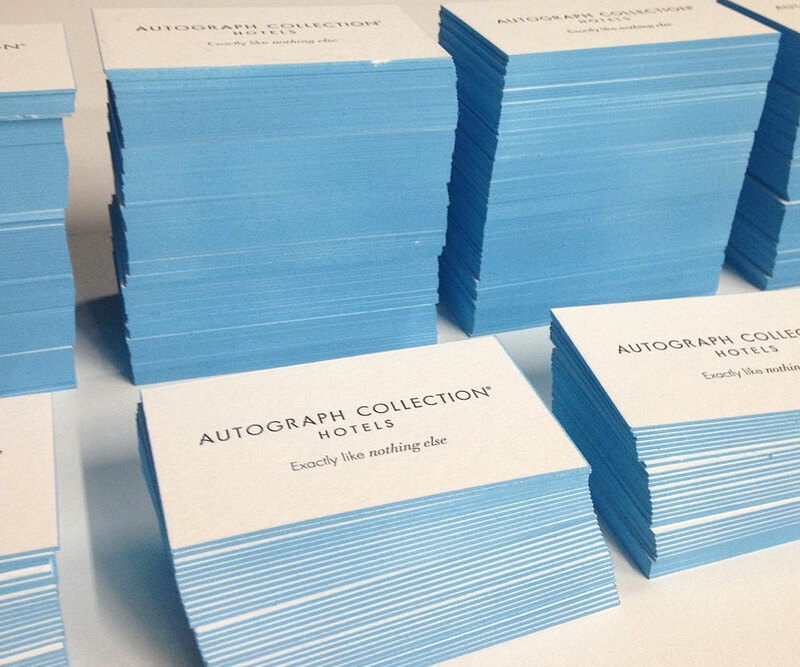 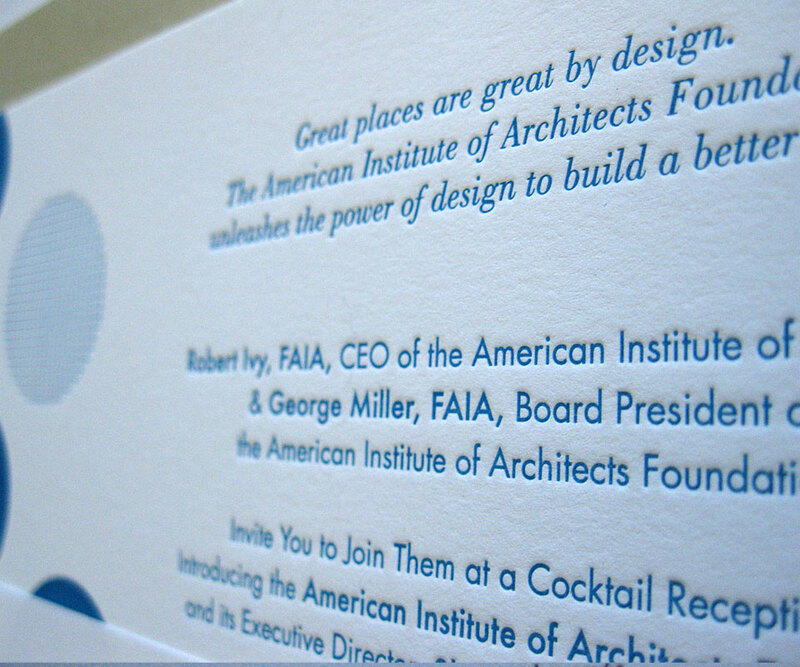 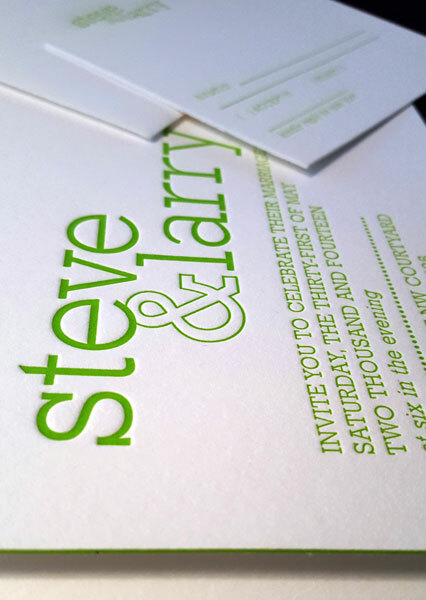 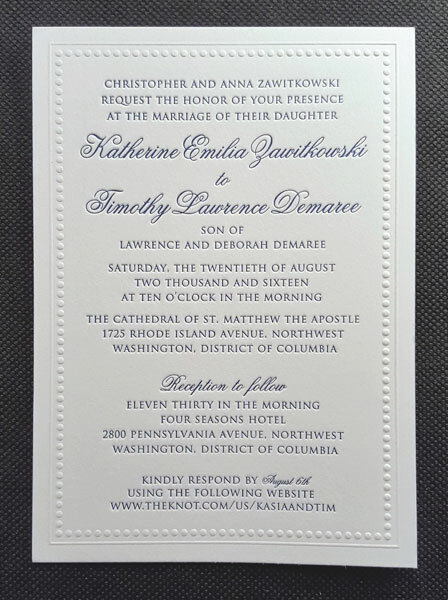 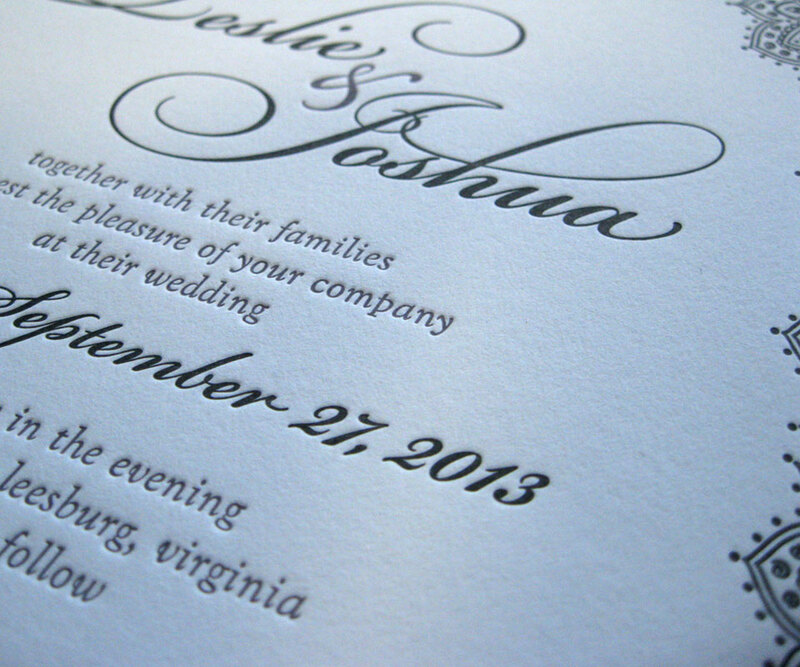 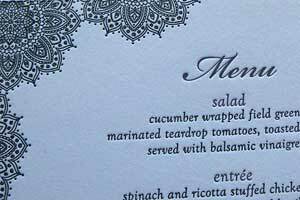 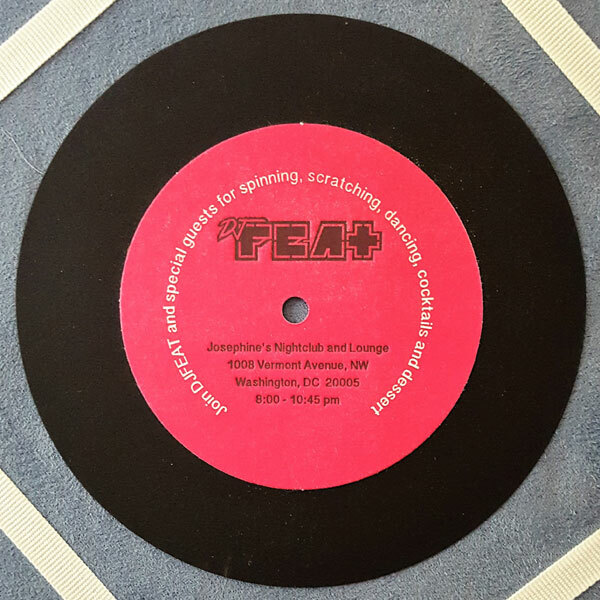 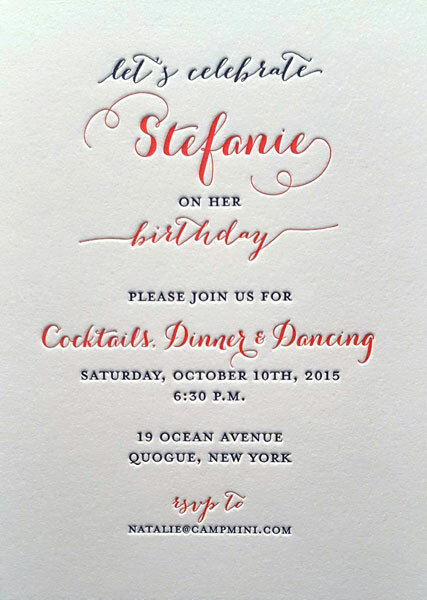 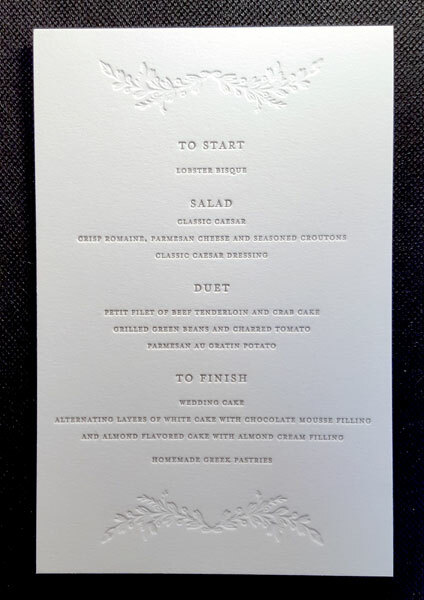 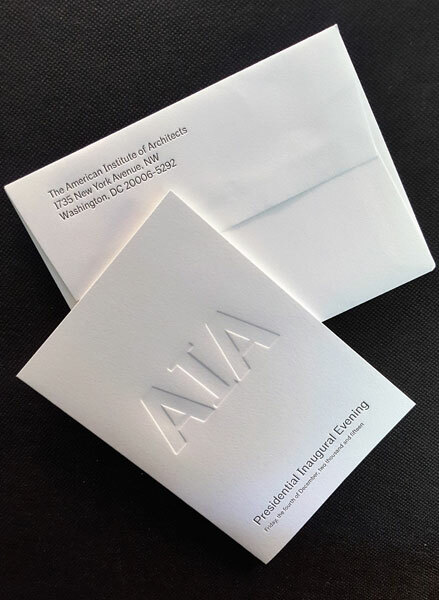 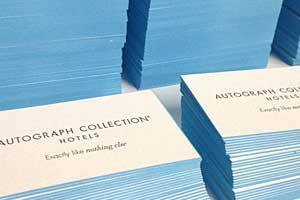 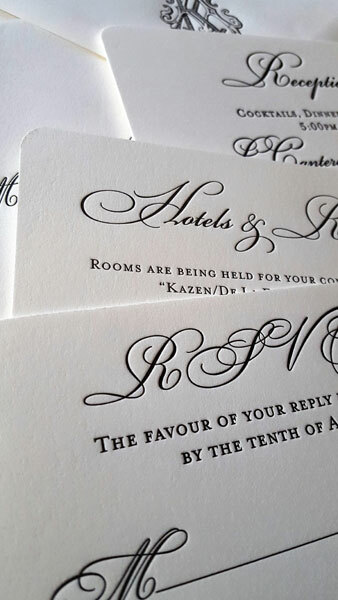 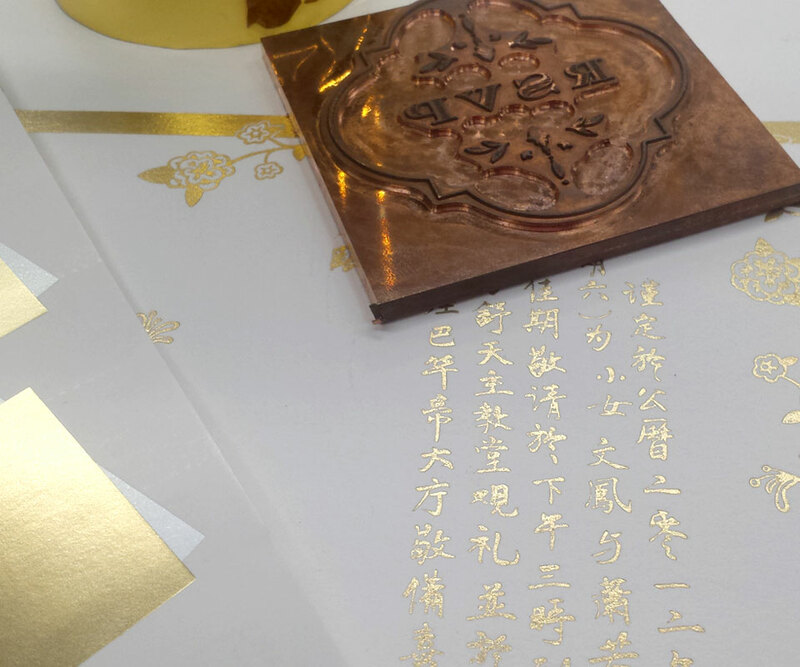 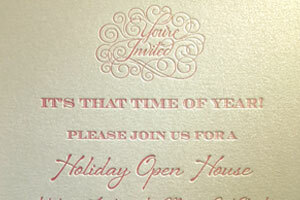 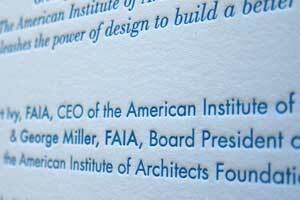 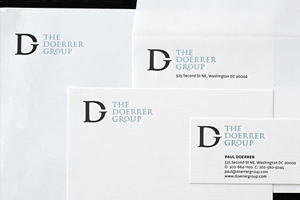 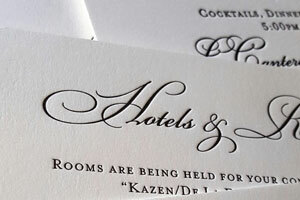 Our services include letterpress printing, foil stamping and embossing. 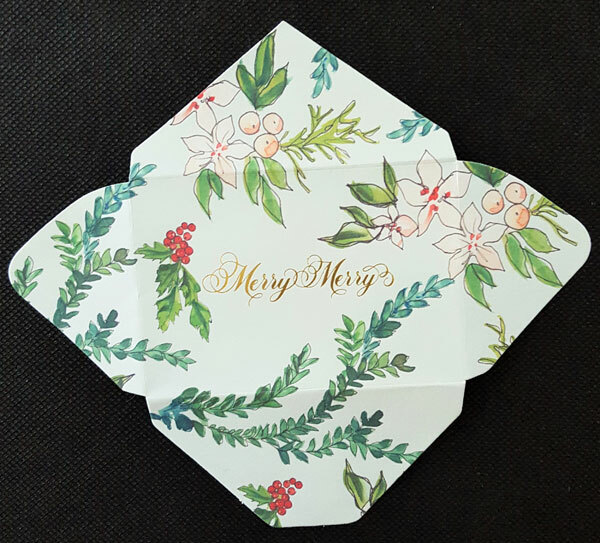 Additionally, we provide die-cutting, duplexing, edge painting, corner rounding, drilling, scoring, folding and Pantone ink matching. 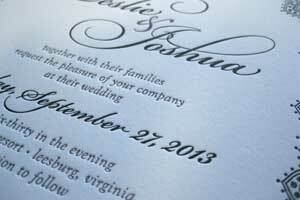 The original printing method was developed by Johannes Gutenberg in 1439 utilizing a re-purposed wine press. 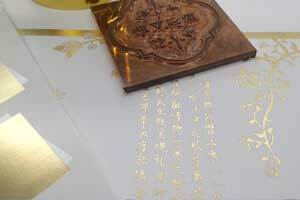 Raised movable type was inked and then pressed onto the surface of the paper. 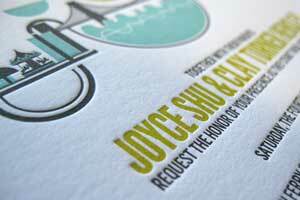 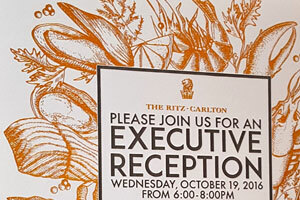 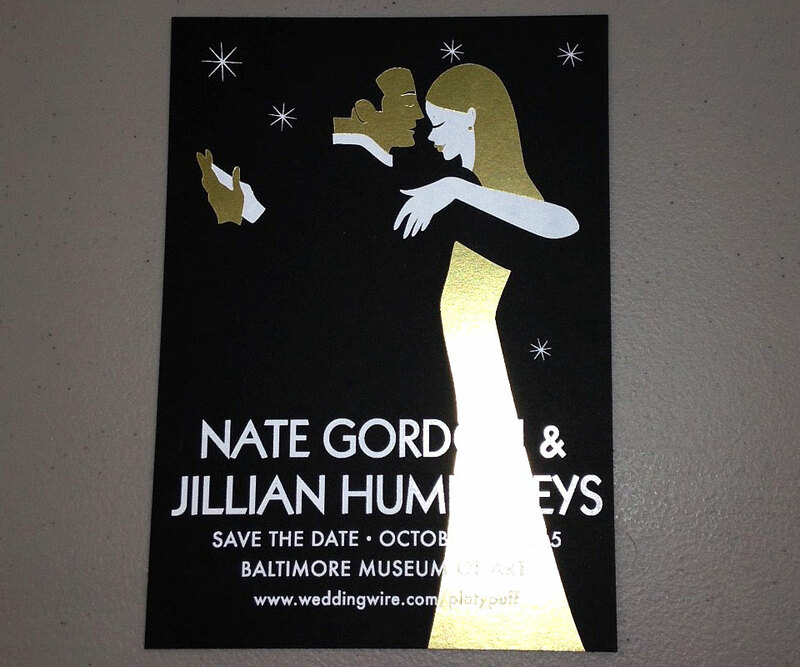 Today, we utilize digital artwork and a photo polymer letterpress plate. 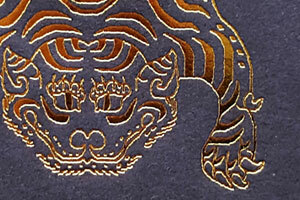 A metal die is created from digital artwork and mounted onto a heat plate which in turn is mounted onto the press. 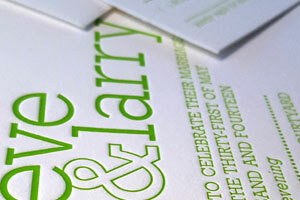 Foil, combined with heat and pressure, allow the image to be transferred onto the paper. 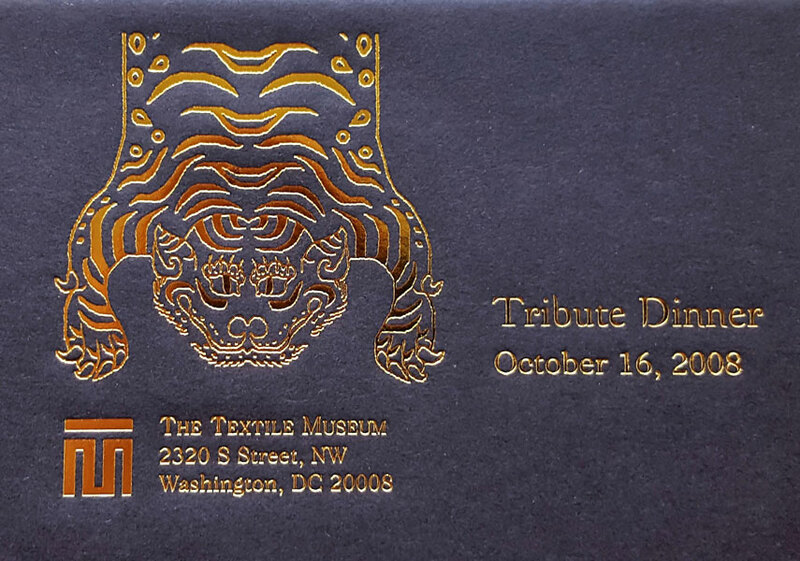 A metal die set is created from digital artwork and mounted onto the press. 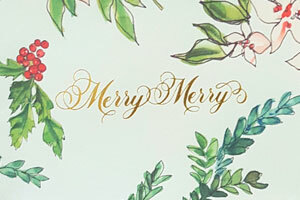 Pressure creates a "bumped up" image on the paper, giving a raised appearance. 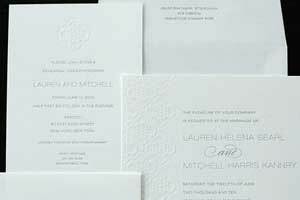 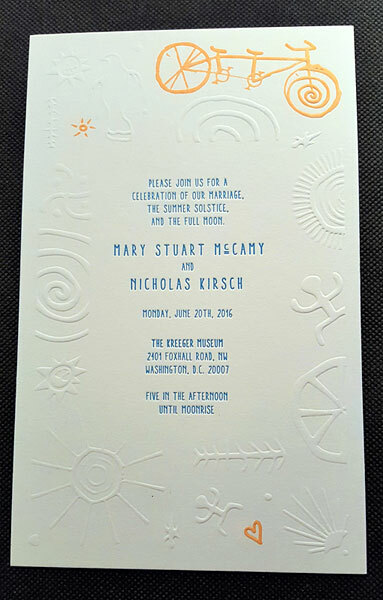 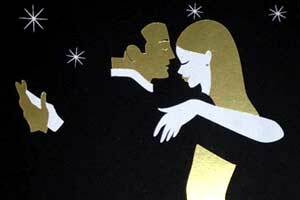 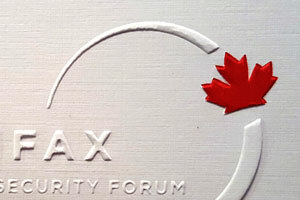 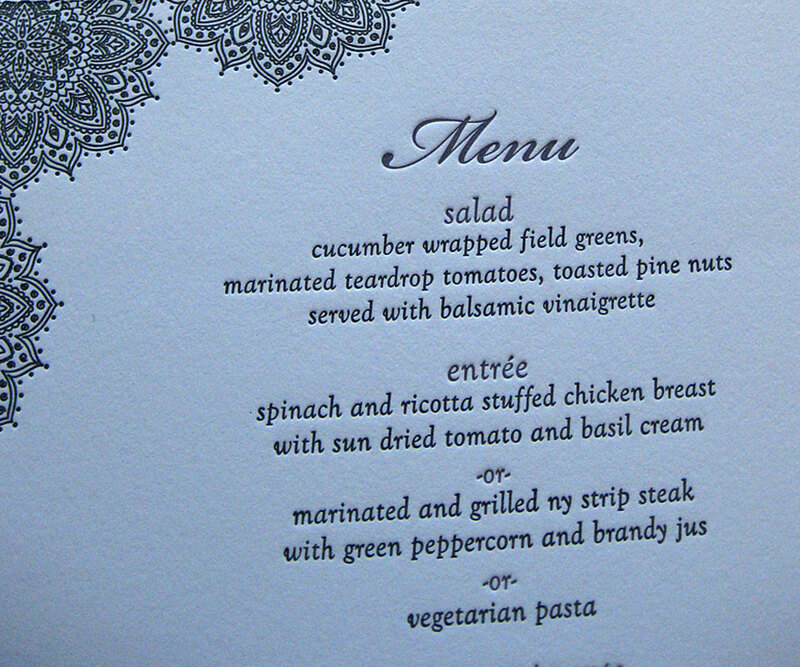 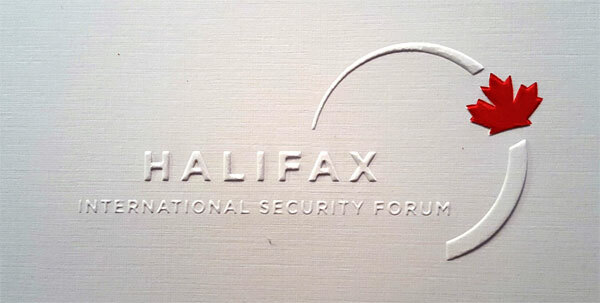 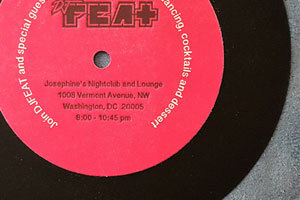 The embossing can be enhanced with foil or left plain (blind emboss). 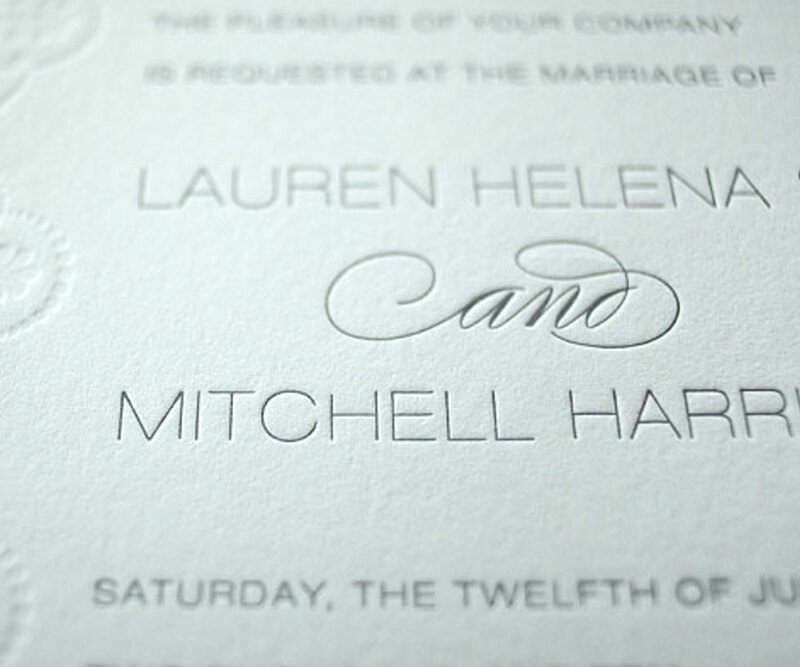 Using a steel cutting die, we set up the letterpress to cut paper into a specific shape. 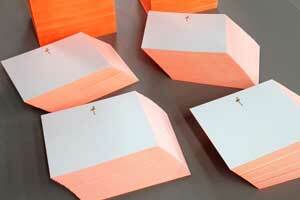 Square, round or almost anything. 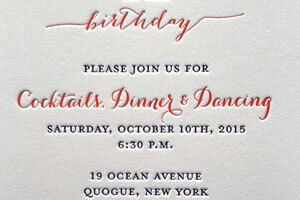 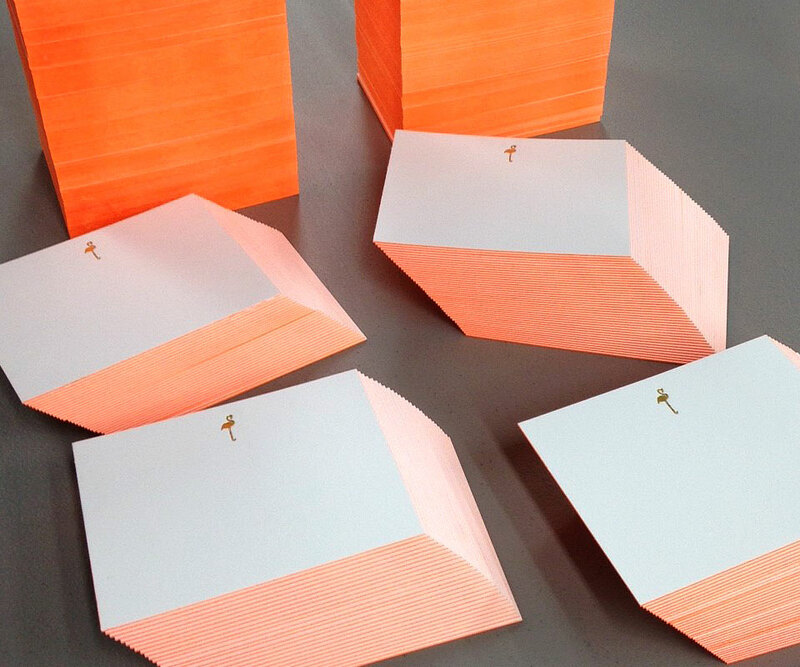 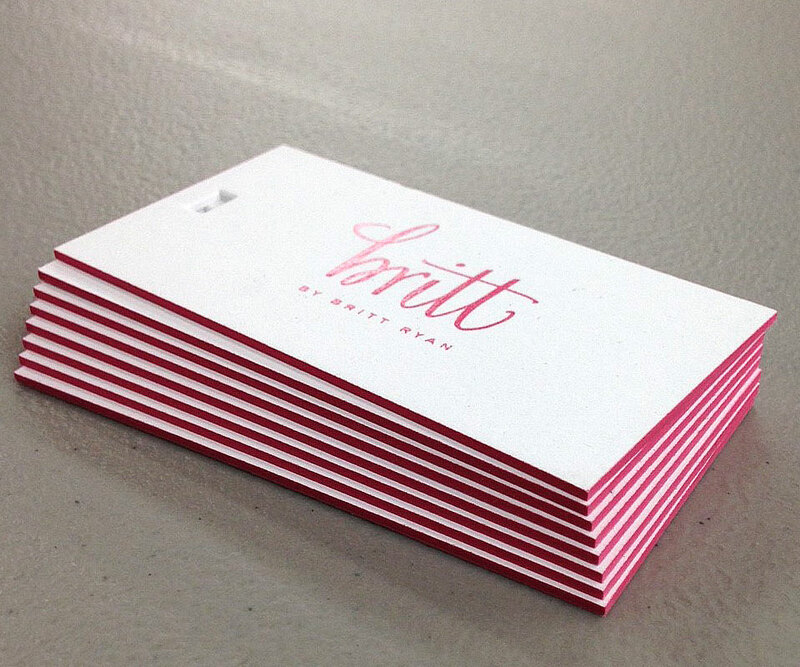 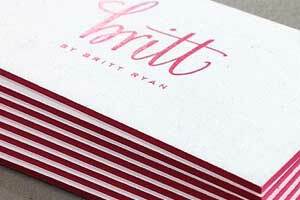 An unexpected pop of color can be added to the edges of your business cards or invitations. 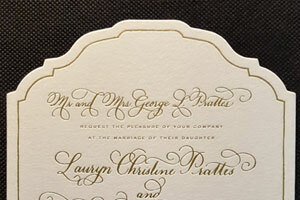 Gold, silver or any PMS color can be applied. 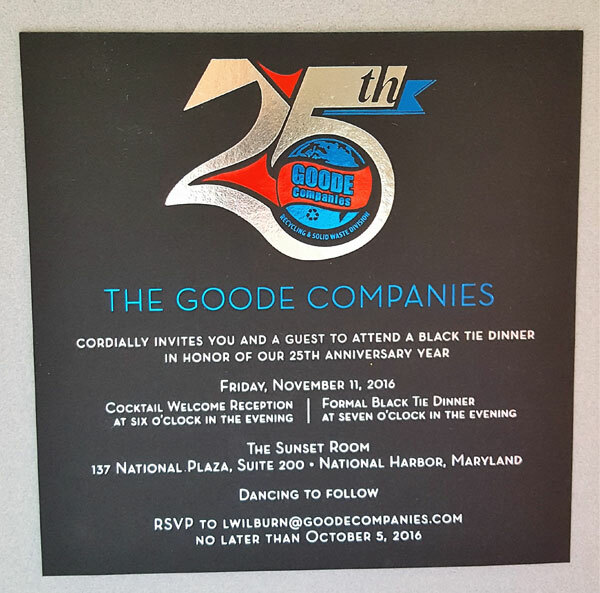 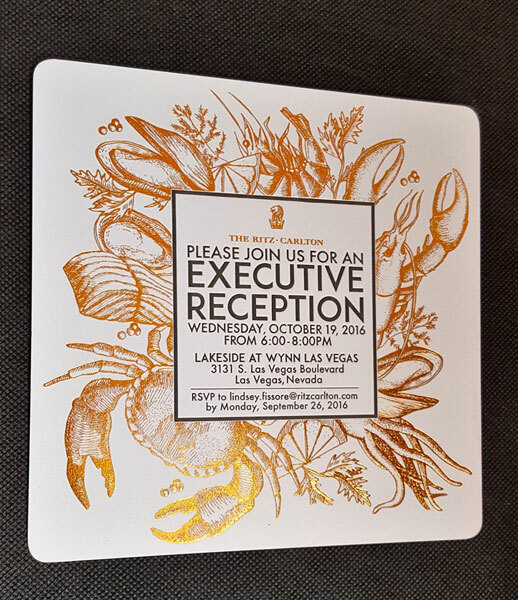 Working with graphic designers and event planners from across the country, we specialize in producing quality stationery, invitations, and announcements. 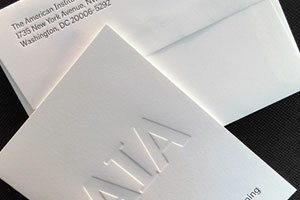 We use an assortment of high quality papers for all our printing, including Crane, Savoy, Arturo and more. 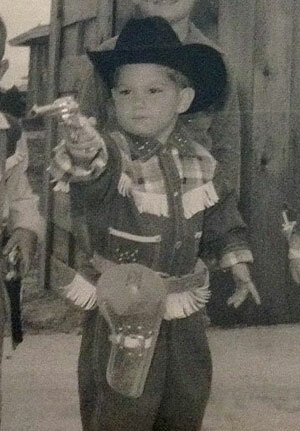 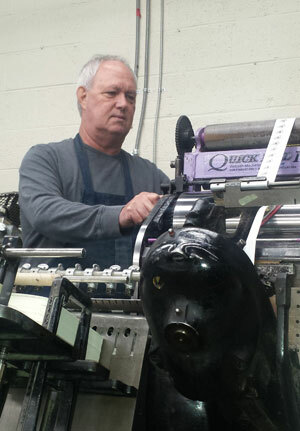 After a brief career as a gun fighter, Tim joined his brother in a commercial printing company located in Massachusetts. 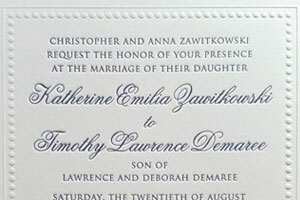 In 2001, Tim married the fabulous Emily, moved to Maryland, and started Windmill Graphics doing finishing work for the local printing trade. 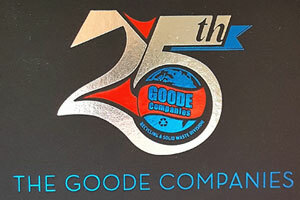 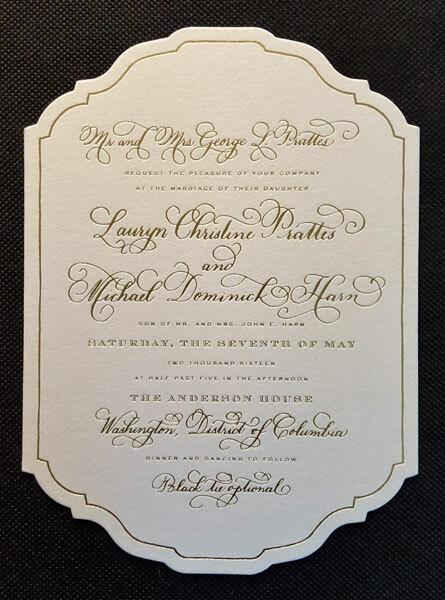 Due to customer request (and the Martha Stewart effect), the business gradually morphed into Windmill Letterpress specializing in high quality letterpress printing and foil stamping.